Not only are they the fastest growing population in the United States, now Hispanics are also considered the earliest users of smart phones (according to experts) due to the increased number of Hispanic youth and because many simply cannot afford a computer. To take it a step further, 72 percent of Latino Internet users say they are on Social Media sites compared to 58 percent of all U.S. internet users, according to the Pew Research Hispanic Center. When it comes to Facebook, 54 percent of Hispanics regularly use the social network compared to only 43 percent of white Americans. Drawing from these findings and numbers, onlookers are lead to believe that Hispanic consumers’ use of smartphones, television, online video, and social networking make this group one of the most engaged and dynamic populations in the current digital space. In the past year alone, activists say social media platforms have also been a gateway in boosting voter registration among Hispanics, who supported Barack Obama. Social Media has also brought attention to immigration reform and serves as a key resource for obtaining legal status through President Obama’s deferred action program. Below are a few influential events that were created via social media platforms by various Latino activists and brought to our attention via Politico.com. In an effort to promote immigration reform, Hispanics leveraged the recent social media surge to coordinate a virtual “iMarch” on Twitter, generating thousands of tweets (that landed more than a half billion times) that caused this to be among the largest of social media advocacy efforts. The political leverage was so impactful that Members of Congress found their Twitter accounts inundated with hundreds of messages and the push caused prominent supporters such as Obama, Condoleezza Rice, Bill Clinton, Newark Mayor Cory Booker and Arnold Schwarzenegger to tweet support for reform to millions of their followers. The march also partnered with Obama’s OFA (Organizing for Action), which helped promote it and push traffic. The president tweeted a number of times to his 31 million followers – and at one point retweeted Jeb Bush. Going forward, organizers for the “iMarch” will use the successful social template to put pressure on Congress and strive to push the controversial reform bill through the House and Senate. Towards the end of 2012, LVM worked closely with Newport Dunes Waterfront Resort & Marina to strengthen its Branding and successfully identify the resort’s unique point of differentiation. Since then, LVM has focused on highlighting and leveraging this unique brand via targeted marketing initiatives. For example, LVM transformed the resort’s Facebook and Twitter profiles and has been growing its Social Media presence and interactivity by engaging with its fans, followers and customers on a daily basis. Movies on the Beach: Every Friday and Saturday through Summer! Bring your blankets, lawn chairs and jackets to Newport Dunes Saturday, May 25th as their ‘Movies on the Beach’ series kicks off! All summer long, near the Watersports area, they will be projecting your favorite films on a giant screen! Admission is FREE! Find the full movie schedule here. Back Bay Bistro, in partnership with the sommeliers of the Wine Elite, will host another exciting Wine Tasting Dinner on Saturday, June 8th. The third of its series, this educational guided wine and dinner pairing will be directed by Sommelier Joey Kleinhans and Executive Chef Kurt Schaeffer. Tickets are $65 per person and can be purchased by calling (949)729-1144. 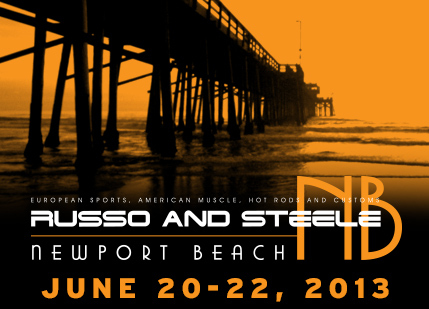 Newport Dunes Waterfront Resort will be home to Russo and Steele’s legendary auction event from June 20-22. For the first time ever in Newport Beach, one of the nation’s most extraordinary collections of top-of-the-line European sports cars, hot rods, American muscle vehicles and custom autos will be on display. For more details on this exhilarating auction event, including information on bidding registration and the consignment process, visit russoandsteele.com. Clam Bake: Every WEDNESDAY Night! Join Back Bay Bistro every Wednesday night from 5-7pm and enjoy a fun family dining experience with a variety of Clams, Mussels, Shrimp and more! Back Bay Bistro’s very own, Chef Kurt Schaeffer was kind enough to create a video, showing us how to make our own clam bake right from home! Shrimp Night: Every THURSDAY Night! Going on now and continuing every Thursday night, Back Bay Bistro hosts Shrimp Night! For only $19, guests can enjoy their choice of tempura, coconut, scampi or crab stuffed shrimp and 2 sides. Seats fill up fast, so reservations are recommended and can be made by calling (949) 729-1144. 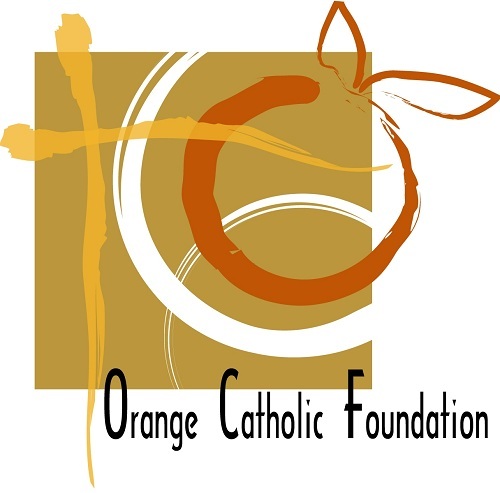 Dubbed as one of the most impactful business events of the year, the Orange Catholic Foundation Conference on Business and Ethics proved to be a wonderful opportunity for business professionals of all faiths and backgrounds to position themselves among the finest in Orange County. LVM was thrilled to be a guest at this conference, which focused on the importance of values and ethics and recognized two special Orange County honorees for their commitment to these practices in their business and personal lives. Contributing to the 11th Annual Conference were keynote speakers, Pat Haden, USC Athletic Director and former USC and LA Rams quarterback, and Richard Riordan, former Mayor of Los Angeles and founder of the UCLA Richard Riordan Programs. Both Haden and Riordan spoke on the importance of ethical practices and how it led them to where they are today. Presented annually by the Bishop of Orange, the Award for Exemplary Business Integrity is given to senior professionals who meet strict criteria for demonstrating ethical leadership qualities. Joining the select group of 20 who have received this award was Rick Muth, President of ORCO Block Company, ORCO Blended Products and RNVS Real Estate, and Rob Neal, Managing Partner of Hager Pacific, and Interim COO and Board Member for the Christ Catholic Cathedral Corporation. Known as one of the leading lifestyle film festivals in the United States, the Newport Beach Film Festival took place this past week and exposed attendees, including LVM, to multicultural films from around the world. LVM kicked-off the festival week by attending the Opening Night Gala, hosted under the stars by Esquire Magazine and Fashion Island. The exclusive Gala featured culinary tastings from 40 of Orange County’s premiere restaurants, including treats from the Back Bay Bistro at Newport Dunes. The event also showcased a special performance from Taylor Hicks and live sets from local DJs. Overall, we are pleased to say that the Festival was successful in bringing to Orange County the best of classic and contemporary filmmaking from around the world, delivering a first-class international film program that provided a forum for cultural understanding and educational opportunities. We especially enjoyed screening the film “Gauchos Del Mar – Surfeando el Pacífico Americano“, which follows two Argentinian brothers that are traveling through the American Continent, from Los Angeles to Buenos Aires, and living their dream of surfing the American Pacific coastline. Directed by Julian Azulay, the film truly portrays the beauty of the coastline and cultures of Argentina, Chile, Costa Rica, El Salvador, Mexico, Peru and the western United States. Part of the Festival’s mission is to embrace the diversity of its community; thus the Newport Beach Film Festival proudly supported local non-profit organizations through its Community Outreach Program. The program was created with the idea that film offers new perspectives and possibilities for a changing world. 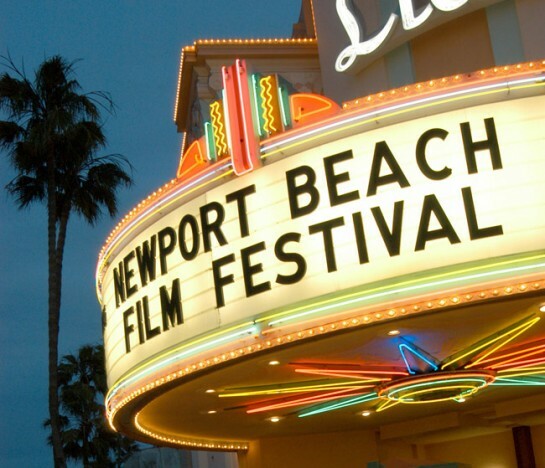 Every year, the Newport Beach Film Festival partners with several non-profit organizations in Orange County from various areas including the arts, health and human services, the environment, education, children’s causes and alumni clubs. Each organization is then paired with a film that is likely to attract an audience interested in its cause and given an opportunity to speak to film audiences prior to the screenings, allowing the organizations to receive exposure and a chance to connect with filmmakers, other non-profit groups and more than 52,000 attendees annually. Celebrating its 14th year, the Festival featured an international line-up of 400+ films, which showcased a diverse collection of studio and independent films, as well as a Family Film Series, meant for filmgoers of all ages. We are thrilled to have participated in this year’s program and applaud the Newport Beach Film Festival for bringing such a unique array of films and talent to Orange County. For more information, visit newportbeachfilmfest.com.